Handbag giveaways are some of the most popular giveaways here at Frugal Follies. Personally, they're not my thing (I prefer my cheap purse from Kohl's, purchased on sale with Kohl's Cash), but that's me. So for the handbag aficionados, here's an amazing giveaways for you - the winner can choose 3 handbags from the Too Hot Bags line! And for those of you who are more like me, you can instead choose a $300 cash prize! I’m very excited to bring my readers another amazing giveaway, this time sponsored by Too Hot Bags and Earn SEO, and hosted by Happy Mothering. During this event, we’re giving away $300 PayPal cash or 3 Handbags of the winner’s choice! 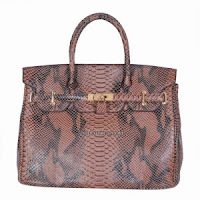 TooHotBags has been in the wholesale fashion handbag industry for many years. They have supplied major retail outlets like BCBG, Nine West, Bebe and more with high quality fashion handbags and designer purses. TooHotBags is now offering their amazing products direct to customers worldwide through their online store. This means that you can now buy fashion handbags at factory direct wholesale prices and save lots of money! You can read more about TooHotBags here. Too Hot Bags also likes to reward its customers with their Referral Rewards Program, where you can earn credits to the website! Your friends and family will receive a $10 discount on every order they place using your promo code. And every time anyone makes a purchase using your Referral Promo Code, you will also receive a $10 store credit towards your next purchase! 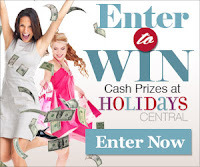 To help gain awareness for their great website offering fashion handbags, Too Hot Bags is giving away $300 PayPal Cash or 3 Handbags of the winner’s choice! To enter, use the Rafflecopter form below. This giveaway runs through April 30, 2013 at 11:59 p.m. EST and is open Worldwide! Good luck! Disclosure: Frugal Follies was not compensated for this post and is not responsible for prize fulfillment. Bohemian Rock Calfskin Hobo Bag - Black. Oh man, I have to say the leather "motorcycle" bag aka Edgy is My Name made me go a little weak in the knees. Definitely my fave. The Lovely Lily Woven Top Handle Tote - Blue is really cute! I like the Bianca Caviar Maxi Flap Bag in White. My favorite is the Duchess Quilted Leather Bag in black. I think I like the uptown girl leather tote! TOO many to choose! It is hard to decide. And the COLORS!! nice. I really like the Gabrielle calfskin leather bag. Great for work, and slips into after-work drinks, rtc. 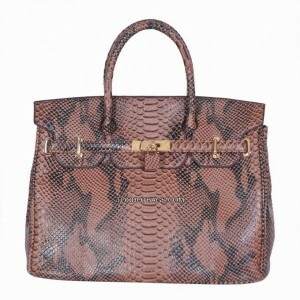 The huntress python leather brown bag is stunning. I want it. I can't believe I finished all the entries. That's rare. I would love to have $300 paypal. The Queen’s Studded Skull Oversized Clutch - Orange is my favorite!